Marketing evolves more, and more each day. And with technology like video personalization, we're seeing engagement that is at completely new heights. The customer is always key; so tools that resonate with each individual, as well as enhance their experience, will be a win for your brand in the end. Read more about new customizations and how brands are making them work, in this week of Inbound Marketing Highlights. Are Personalized Videos the Future of Marketing? It’s no secret that people love videos! It’s been proven that 82% of Twitters watch video content, while people on YouTube consume over 500 million hours of video per DAY. If you’re posting content that isn’t video, it is probable that it will get lost somewhere in the world of social media. But while video is awesome for engagement, another smart tactic happens to be personalization. With bots and automation galore, personalization allows your audience to feel like individuals. So what if we could somehow combine videos and personalization to get an explosion of engagement and viewer love? Well I’m happy to share that this is where the industry is headed. Nike was one of the first brands to do this back in 2014, when they sent out 100,000 unique videos to Nike+ members, celebrating their workout achievements by using personalized user data. Remember the "Four Ps" of Marketing ? If you were a marketing major, or even a business major in college, there is a 1000% that you learned the “Four Ps of Marketing.” Now at the time these may have seemed completely arbitrary, and perhaps even obvious. And while they’re now permanently engrained into my memory, I have to admit that I haven’t thought about them since university. Strangely enough, this marketing executive is suggesting that maybe we should. Phuong Uyen Tran, author of Competing with Giants, and deputy CEO is Vietnamese beverage company. THP Beverage Group,has found great success thinking strategically about the Four Ps. In a crowded industry like food & beverage, THP Beverage company has been able to compete with big names, and even turned down an offer to be bought out by Coca Cola. See other insight from Tran in the full story here. "Alexa, order from Dunkin' Donuts." When designing an app, website, or literally anything else that's customer related, it is key to keep experience as a top priority. Dunkin’ Donuts is doing this by making the ordering process even more convenient for their rewards members, by adding an Alexa skill. Users of the Alexa skill will have the ability to order in advance through voice, and then pickup the pre-made order in stores. App users will even have the ability to link their DD Perks and Amazon accounts through this new feature. However, all ordering and payments however will be handled through the Dunkin’ Donuts mobile platform. Would You Name Your Baby "Harland" for $11,000? How much money would it take for you to name your newborn, “Harland”? Would you do it for $11,000? Harland happens to be the name of the beloved KFC founder, also known as the Colonel Sanders. Sadly, this name is becoming increasingly unpopular, and often has the reputation of being an “old man’s name.” In order to make it trendy again, KFC is offering someone who has a baby on Harland Sander’s birthday, September 9th, $11,000 if they use this name. There will only be one winner and it is first come, first serve. "Even though vintage names are making a comeback, our iconic founder’s name was dwindling in popularity, and we couldn’t just stand idly by and let that happen. We hope that this birthday celebration honors the Colonel and encourages the next generation of people aspiring to live the American dream.’”- KFC’s Chief Marketing Officer. As marketers, we are putting out content that is viewed by so many people, everyday. From the web, to print, to billboard ads or signs, you can’t go a single day without seeing marketing materials. And whether we realize it or not, us marketers have a huge role in promoting healthy social landscapes, particularly diversity and inclusion. Not only is it a nice thing to include diverse images, language, and topics in your marketing message, it’s also becoming necessary with Millennials and Gen Z demanding it. 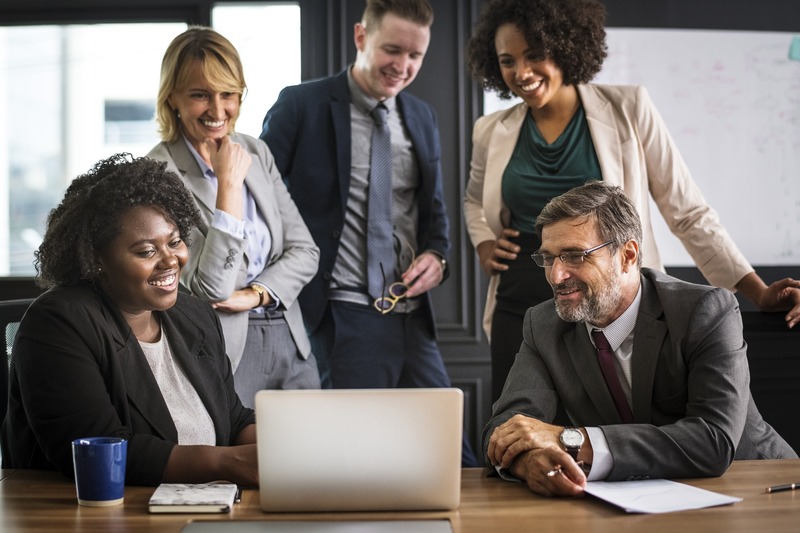 Simple solutions like including all colors in your stock photo folder, making your next event disability accessible, and modernizing your parental leave policy can not only reach and resonate with a larger audience, it will also foster a more welcoming work environment for your employees. Learn more about how to implement these suggestions here. That's this week in Inbound Marketing Highlights. Happy Labor Day Weekend! We'll see you next week! If you're attending INBOUND be sure to stop by our booth!